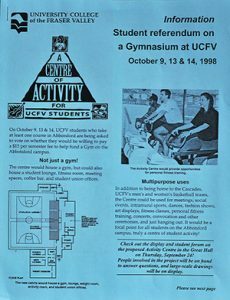 When Skip Bassford joined the University College of the Fraser Valley as its fourth president in 1998, he looked around the campuses and wondered where the gym was. He soon found out there was none. He knew that UCFV (as it was then known) had some very successful teams competing at the collegiate level in basketball and soccer. He knew that the Fraser Valley was a hotbed of sporting success and support. And he knew that he wanted to help take the university-college to the next level athletics-wise. So he added that to his to-do list. By the time he left as president in 2009, UFV had achieved university status as an institution. And on the athletics side, it had not one but two gyms, and had been accepted into the Canada West conference of the national university sports organization, Canadian Interuniversity Sport (now known as U SPORTS). Under his leadership, we’d made it to the big leagues. 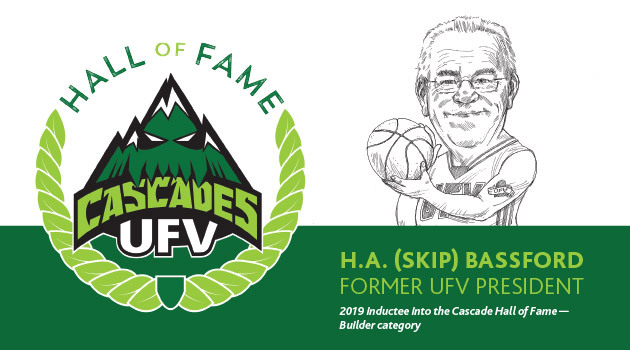 For his role in leading UFV to greater heights athletically, Bassford will be inducted into the Cascades Hall of Fame builder category by the UFV athletic department at a special ceremony at half-time of the men’s basketball game on Friday, Jan 25. The 2019 class also includes two inductees in the athlete category: Derek Fletcher (men’s volleyball) and Andrea Wigman (women’s soccer). The 1999-2000 national championship-winning Cascades men’s basketball team will be inducted in the team category. Not only was Bassford a leader in advocating for the Cascades, he was one of their biggest fans. 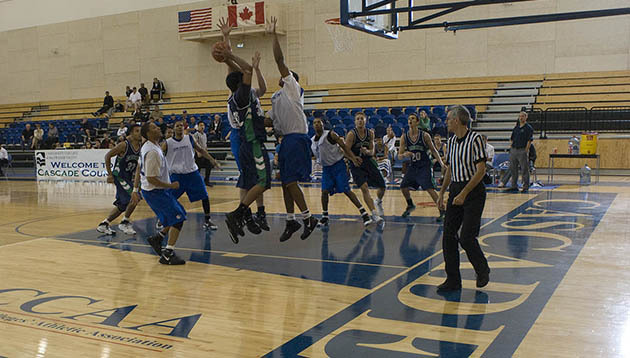 Bassford also helped secure and raise funds for scholarships for UFV athletes. Bassford recalls those early days, and his determination to improve the situation for the Cascades, with fondness. “I was so surprised that our teams had no gym to play in and that our soccer team was playing across town. It was clear to me soon after my arrival that the Fraser Valley was a big sports hotbed and that our teams were achieving some really good things even without their own facilities. 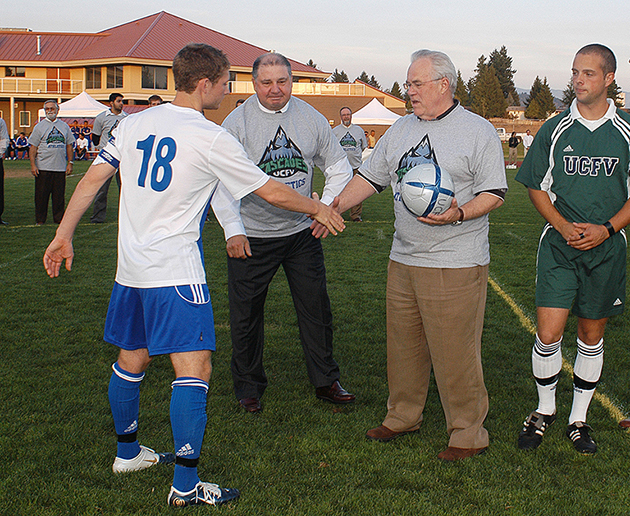 The soccer teams still don’t have a field on campus, but the Cascades have been happily playing in their own gym since 2002, with the expansion into the Envision Athletic Centre following in 2007. Bassford and the administrative team were committed to getting UFV teams admitted into the CIS, part of a larger strategy to gain university status for UCFV from the provincial government. On the academic side, it had been accepted a member by national post-secondary organization AUCC (now Universities Canada) in 1997. Another major challenge for UCFV Athletics was proving that it belonged in the university-level CIS for varsity competition after achieving much success at the college level. As a university-college, UCFV offered third- and fourth-year programming, which meant that students stayed around as long as university students do. Once again, Bassford came through as a champion. “I knew our athletes and teams could compete with the best in Canada, and there was clear support for us moving to this level within the Fraser Valley. But it took some real persistence on our part to convince the powers that be. I think they got tired of looking at me as I showed up to meeting after meeting of all the athletic directors. They kept saying that we were not a university yet but I would argue back that we were a four-year institution that granted degrees – a university in all but name. I think some of the athletic directors were a bit afraid of us because they knew we would provide strong competition. For Bassford, a robust athletics program is part of the full university experience. Scholarships were the third area where Skip helped Athletics tremendously. And then there’s Bassford the sports fan. He achieved notoriety early on as a passionate spectator. “The first basketball game I went to, the ref threatened to throw me out! I did learn to tone it down a little after that, but I don’t think I ever escaped the notoriety of being the only university president threatened with ejection from a sporting event. 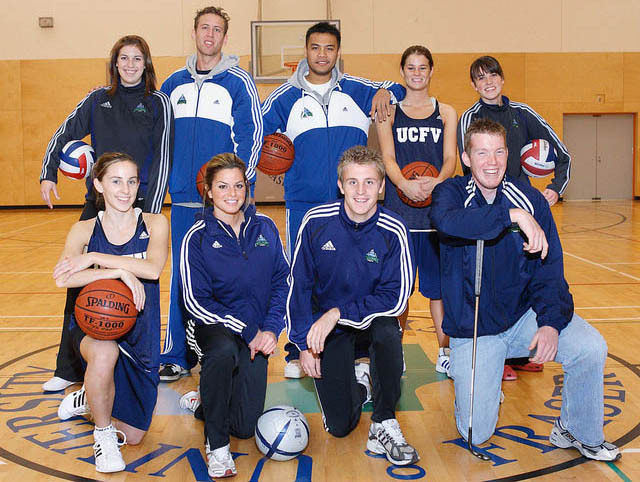 Still, I hope people also remember the times I led UCFV and UFV cheers from the sidelines.